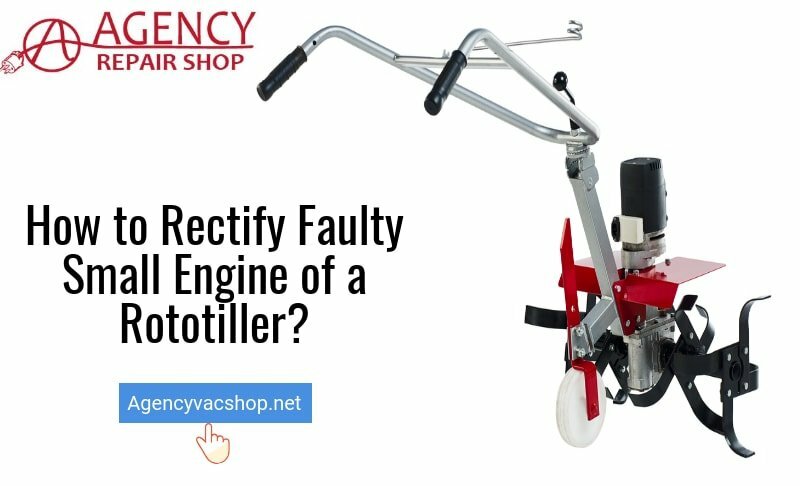 How to Rectify Faulty Small Engine of a Rototiller? Rototillers are machines that are used to turn up soil and are generally fueled by gasoline-powered engines and spinning tines. For any home gardener, rototillers provide an invaluable way out to turn the soil very quickly. They can eliminate the need for spade digging and are used to keep pathways between rows of plants clear during the season of growth. Rototillers are efficient weed controllers and can easily chomp through clods of soil or clusters of weeds. However, if your tiller suddenly it stops working it can be a nuisance. Because these machines are used for hard landscaping tasks, they tend to breakdown or malfunction when they are overworked. Below we discuss some of the most common problems that cause malfunctioning of the small engine of a tiller. 1- A clogged carburetor may be one of the reason. A clogged carburetor is caused when the fuel is left in the engine for a long period of time. Over a period, the ingredients in the fuel get evaporated, hence it leaves behind a thicker, stickier substance. This sticky fuel clogs up the carburetor and causes the engine to stall. If the carburetor is clogged, try to clean it with carburetor cleaner. If the carburetor isn’t effective, you may need to rebuild or replace the entire carburetor of your small engine. 2- If the fuel in the small engine is consumed, then the pressure in the gas tank rises. To relieve this pressure, the gas cap uses a small vent to allow air to enter the gas tank. If the gas cap vent is clogged, air won’t be able to enter the gas tank, and the pressure in the tank will begin to rise. Once pressure in the gas tank exceeds the pressure in the engine, the engine will start. To determine if the gas cap vent is clogged, try to loosen the gas cap and then start the engine. If you loosen up the gas cap, then it allows the engine to stay in running condition. This indicates that the gas cap vent is clogged and there is need to replace it. If you find that none of the above-mentioned solutions fix get your rototiller working again, then it’s probably time that you take the rototiller in for inspection by a professional who specializes in small engine repair in Aurora, Colorado. Visit Agency Repair Shop is one of the most experience repair centers in the Denver Metro area helping people with a variety of small engine repair issues. Let us know how we can help!